Tasty libations at RTX Destinations. These luscious libations reflect the area in which they are popular and are an ideal choice to whet your whistle on vacation. 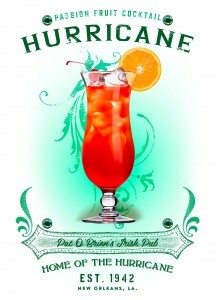 We admit there’s not much nuanced flavor to the hurricane; its style is more maximum sweetness, followed by a kick in the pants from all the booze. But it’s a tasty one, and a must try while in NOLA. Pat O’Brien’s is the originator of the drink, so seek this bar out on Bourbon Street to try the classic mix made with rum, passion fruit, and lemon juice. The Mai Tai has a storied history and even more versions to choose from, but they’re all delicious. This rum, syrup, lime and pineapple drink originated at Trader Vic’s in California, and means “good” in Tahitian. The Blue Hawaii is made with rum, pineapple juice, curacao, and sweet and sour mix. It was invented in 1957 by Harry Yee, head bartender of the Hilton Hawaiian Village in Waikiki. A drink associated with the Kentucky Derby, the mint julep combines bourbon with water, ice, sugar, and fresh mint. It’s traditionally served in a silver cup, a mark of wealth, combined with the presence of ice, that set a mint julep drinker apart during the 18th century. 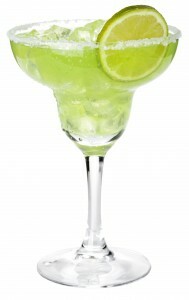 A tart, refreshing drink, the margarita has tequila, triple sec, and lime juice, with salt on the rim of the glass. Its origins date back to 1938, when Carlos Herrera created the drink at his restaurant Rancho La Gloria, between Tijuana and Rosarito, Mexico. Margaritas are served in a variety of glassware, however, you’ll most likely recognize the classic stepped-diameter variant of a cocktail glass.